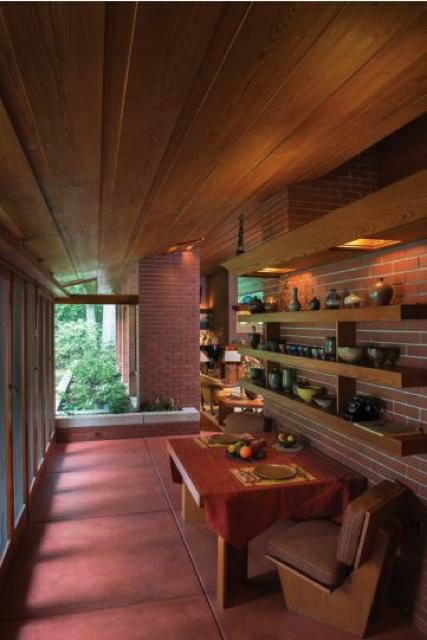 The Frank Lloyd Wright‘s Zimmerman House, completed in 1952, is what the architect described as a Usonian Homes. The term describes his vision for the American landscape, incorporating both architecture and city planning. 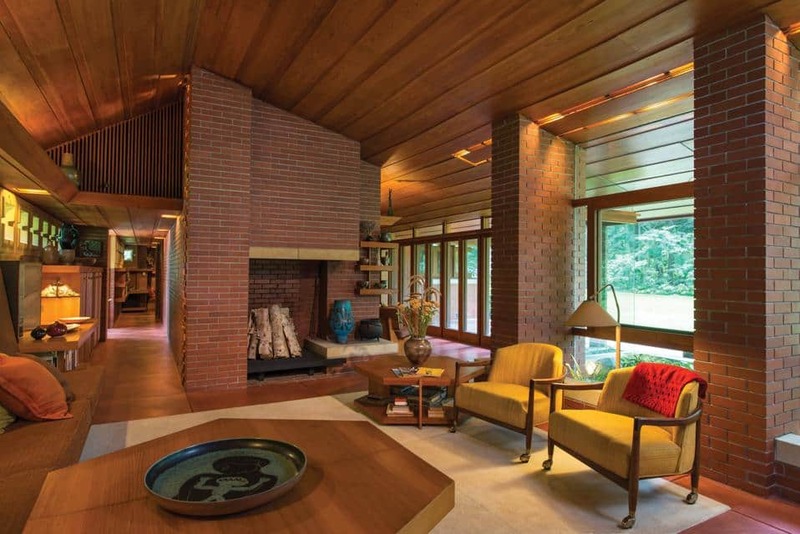 He built about 60 Usonian Homes in all, and they were intended for middle-income families with modest requirements. 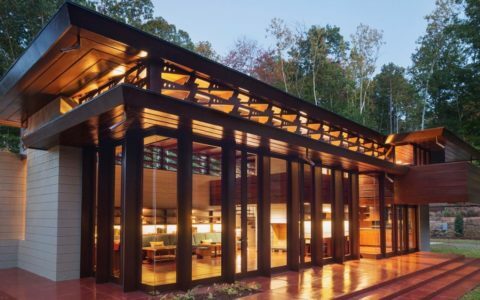 The houses were small, single-storey, tended to lack a garage, and were constructed from native materials, with their large cantilevered overhangs allowing for passive solar heating and natural cooling. 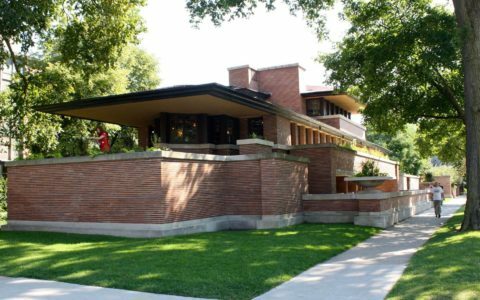 Accordingly, Frank Lloyd Wright’s Zimmerman House had no basement, attic or second storey, and only a carport to house any automobiles. 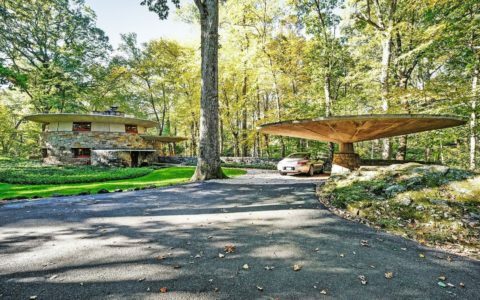 Indeed, the word ‘carport’ was coined by Lloyd Wright himself. The house is arranged around a large, central L-shaped chimney, and has a dramatically oversized, horizontally overhanging roof. 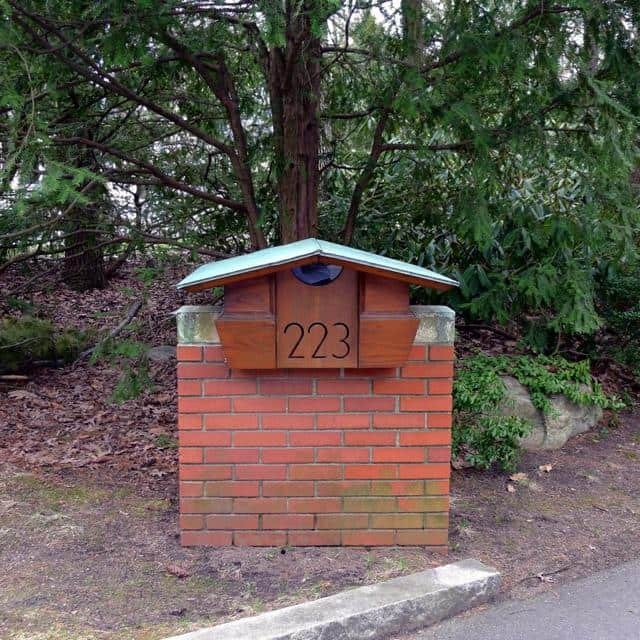 Local residents in Manchester, New England, shocked by the modern appearance of the Zimmerman’s home, dubbed their neighbours’ new abode “the chicken coop”. 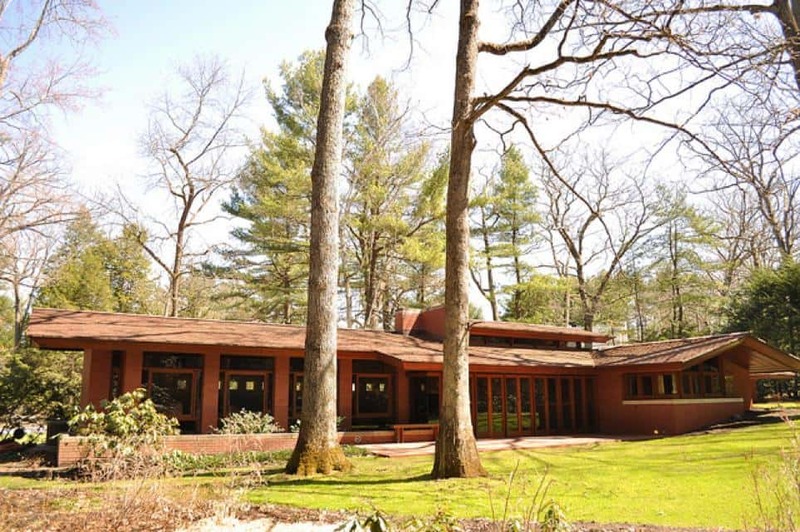 Frank Lloyd Wright’s Usonian Homes are organic, because of their close integration with their surroundings. 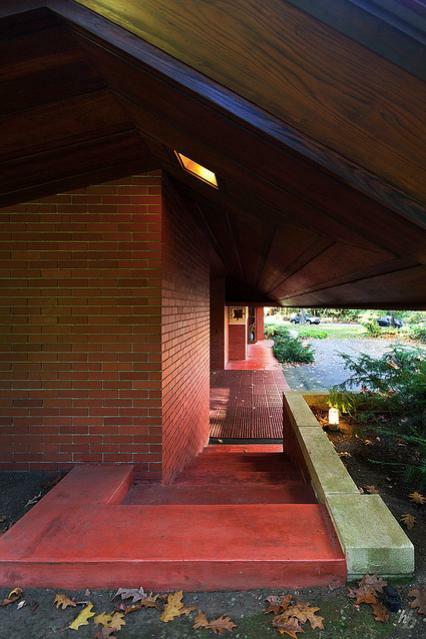 In fact, the Zimmerman House seemed as though it grew out of the ground, thanks to its low-pitched roof and parallel brickwork courses. The living area boasts a wall of glass, offering impressive views of the gardens, which Frank Lloyd Wright also designed. Windows along the street side of the house, however, consist of just a long strip of small rectangular openings, slightly above eye level to afford the inhabitants some privacy. 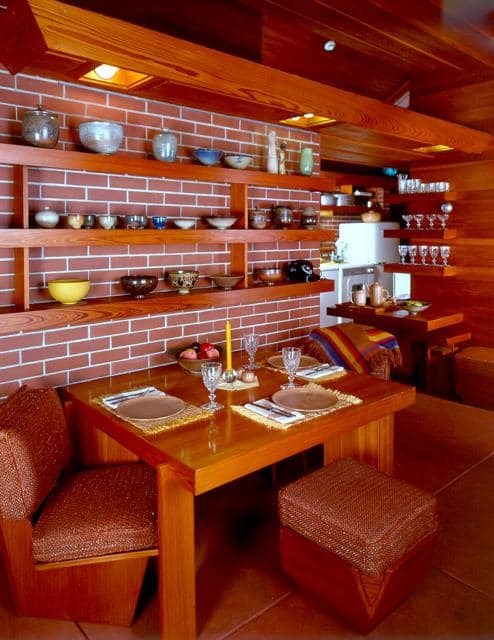 In all Frank Lloyd Wright’s houses, there always is a close integration between the interior and exterior, taking inspiration from nature for its colour palette, with red brick walls and brick-coloured concrete floors, and textiles in earthy tones. 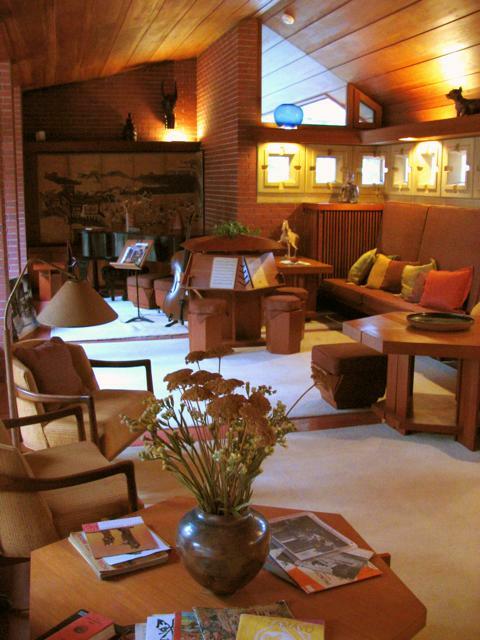 Wright’s input didn’t stop with the house and gardens, either – he also designed all the furnishings and furniture. 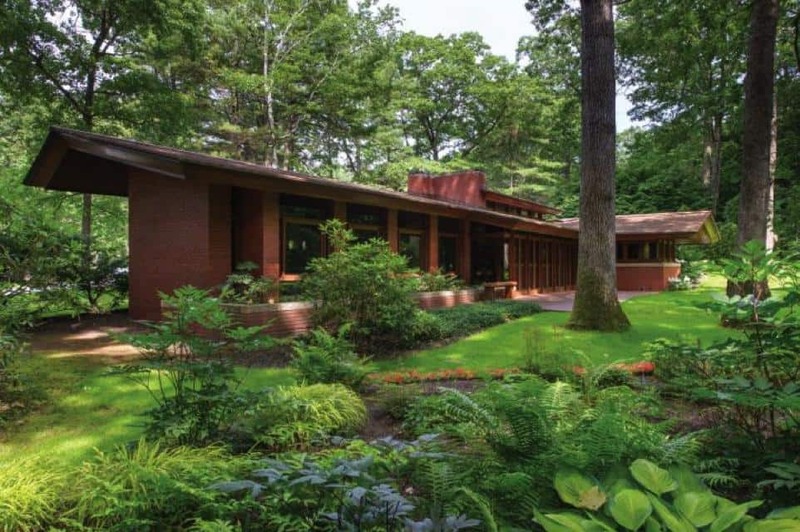 Wanting to downsize from their 13-room Colonial Revival house in Manchester, Isadore and Lucille Zimmerman visited Wright’s own home in Wisconsin, and viewed other houses he’d designed, before deciding to hire the architect to build their own more modest home. 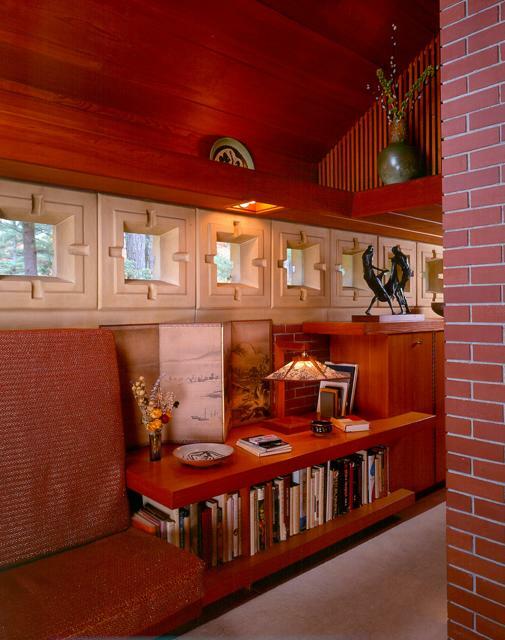 The couple formed a bond with Wright, and the house was designed very much with their own personal artistic interests in mind. 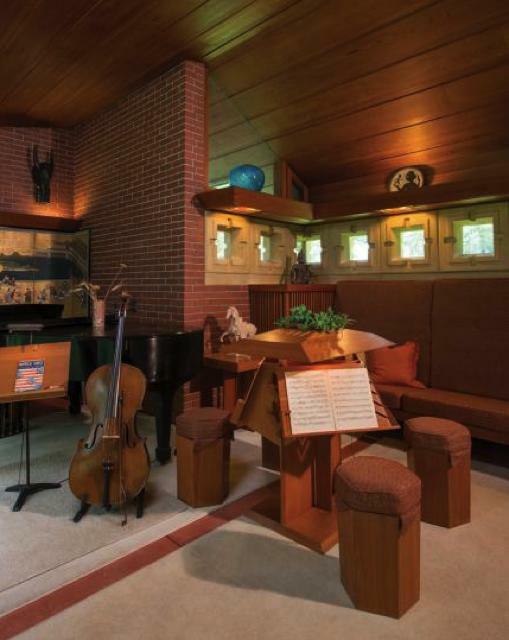 There is a niche for their piano, for instance, shelving for their pottery and sculpture collections, and clever storage for books and other cherished possessions. Having had no children, after the couple’s death the house was left to the Currier Museum in 1988, and it now receives around 5,000 visitors every year.